Every year after the Spring Equinox is Earth Hour. Earth Hour is an annual event when people are encouraged to turn off all non-essential electric lights for an hour as a symbol for their commitment to the planet. It usually takes place from 8.30pm to 9.30pm on a Saturday close to the Spring Equinox at local times all over the world and is a grassroots event, organised by the World Wildlife Fund. The idea is that instead of using electricity, you do things by candlelight. Activities often include things like dining by candlelight, playing games or having a candlelit procession. However, you could try some candle magic while the electric lights are off. 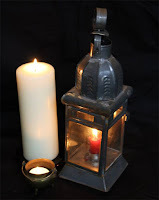 Here is a ritual for Earth Hour designed to be done by candlelight – although you could do it as a Spring Equinox rite instead if you preferred. 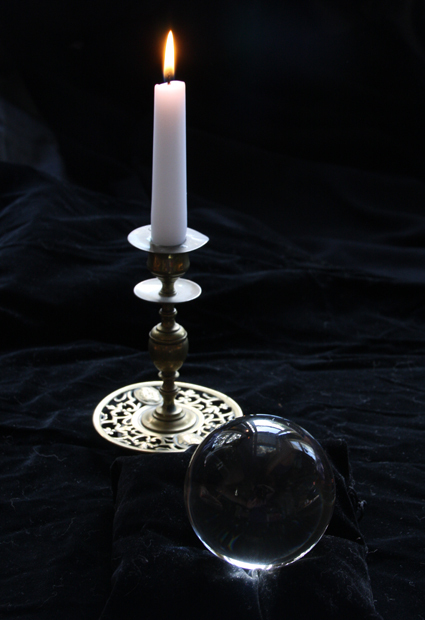 The ritual includes casting a circle by candlelight, scrying (or divination) for insight into what you could do to help the environment, and then making a dedication of actions you intend to make in the future. 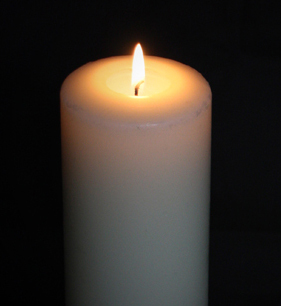 Optional: A dark and light candle to represent balance. To start with, light enough candles to see by and put the rest of the things in the middle of your space – perhaps on a small table. Turn off your electric lights and begin your ritual by casting a circle. When you have done that, put the lantern down at the north of the circle you have cast and, if you want, also arrange other candles around the edge of the circle. It does look lovely and helps define your space. The word ‘scry’ means to look, and is another term for divination or fortune telling, often using a crystal ball or a bowl of water. It is best done either by moonlight or candlelight. Then all present should peer into the bowl of water and watch to see if any shapes or images appear. You probably need to give everyone at least 20 minutes for this, because it can take some time to get answers. Don’t talk while you are scrying, just concentrate on looking at the water. The answers might come to you as images, shapes or shadows in the water, but they might simply be thoughts that come into your mind. Scrying can take a bit of practice, so don’t worry too much if you don’t seem to get anything. It can help to half-close your eyes as you scry. 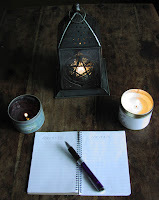 Now it is time to write down the answers you got from the scrying, or to write down other thoughts about what you are going to do to help the environment. Give everyone pens or pencils and paper for them to make two lists. One list is for actions they are going to take, the other is for things they are going to do less of. If you like you can have one dark candle and one light candle lit on the table to represent the balance of the two lists, but that's optional. For example, you might say you will start growing your own vegetables, but waste less food; or you might say you will recycle more, but also aim to buy fewer products that are overpackaged. You might even choose to set up a donation to the World Wildlife Fund, but eat less factory-farmed produce. After the ritual, everyone should put their lists somewhere they will see them to be reminded of their good intentions. It is traditional to end rituals by sharing cakes and wine (or fruit juice for drivers and those who don’t drink). Raise a toast to Planet Earth and make a promise to keep your intentions. Save a little of the food and drink as an offering the Earth– to be put outside after the ritual. At the end of the rite, walk anticlockwise around the circle with the candle lantern and say: "The circle is open, the rite is done." Then snuff out the candle. This is optional, but if you want to measure the hour by candlight, all you need to do is get a household candle or dinner candle that burns for a stated length of time. 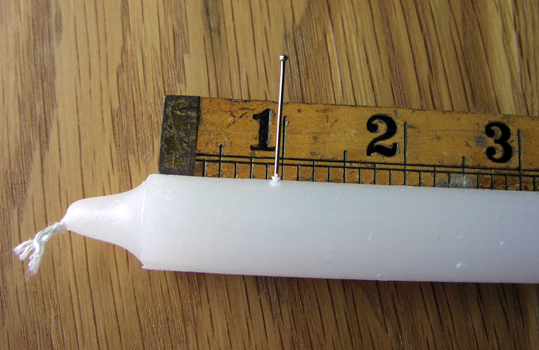 Just put a ruler along the edge of the candle, measure the length that will burn in an hour and stick a pin in at that point. Then light the candle at the start of Earth Hour and us it to measure how the time is progressing. My book Pagan Portals - Candle Magic: A Witch's Guide to Spells and Rituals details of lots of other spells you could try by candlelight for Earth Hour - or any other time.